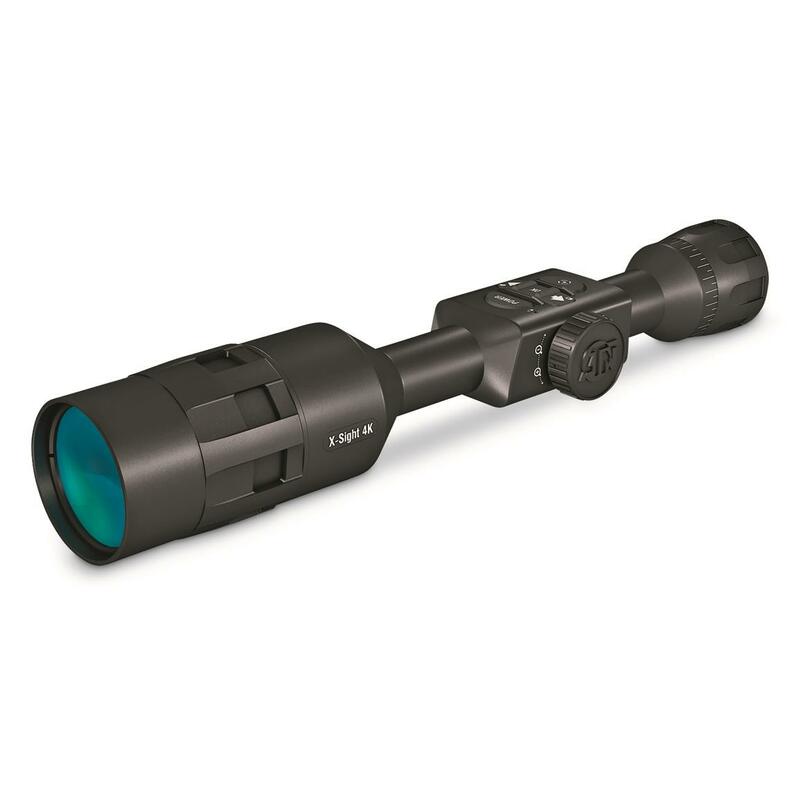 The Core of a more powerful scope. 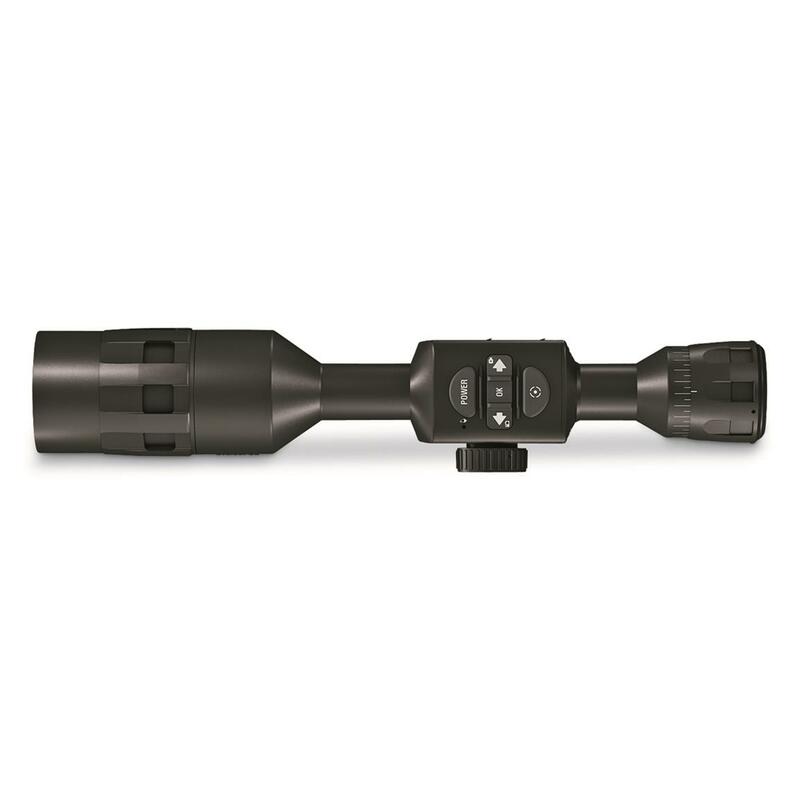 ATN Obsidian Core technology is the backbone of the ATN X-Sight 4K Buckhunter. 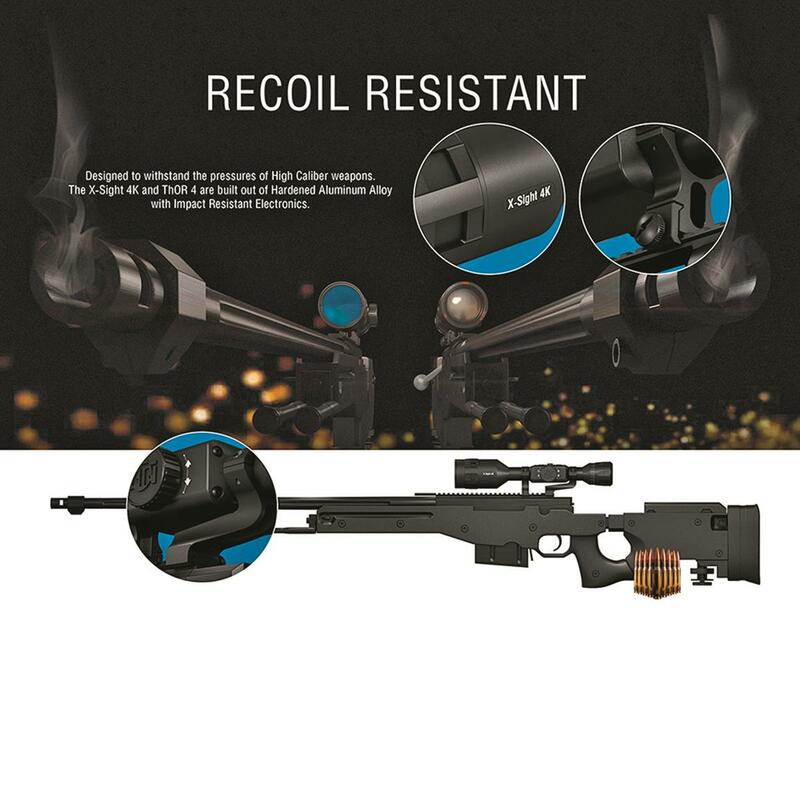 The robust Dual Core processor controls what you can do and see by creating enhanced resolution, simultaneous streaming and recording of video as well as remote device operation, provides GPS location services as well as Bluetooth connectivity. Best of all, the Dual Core processor adds more features without taking away from battery power. 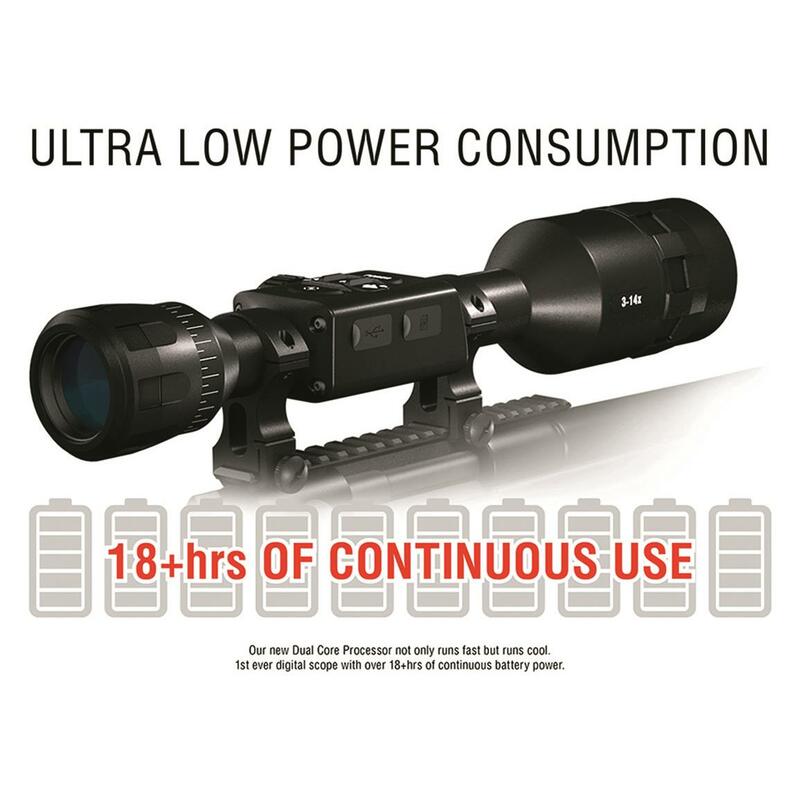 The Ultra Low Power Consumption makes it the first digital scope with over 18 hours of continuous battery power. Full HD Video captures every detail in 1080p at 120fps. 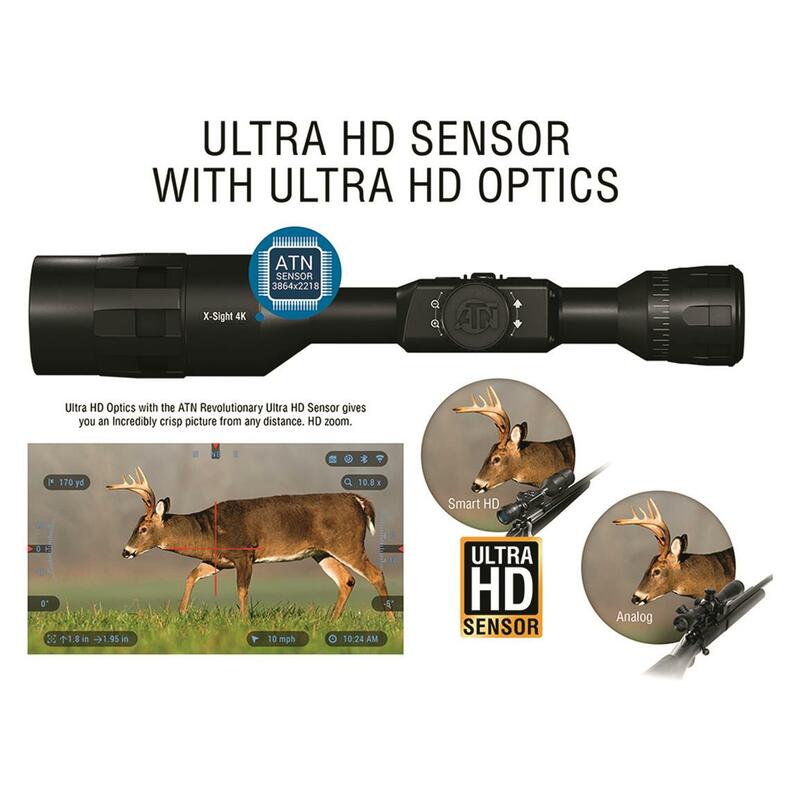 Remembering the exact moment of an amazing hunt is easier and clearer than ever thanks to the HD recording in a ATN X-Sight 4K Buckhunter. When the opportunity arises, the full HD will capture it in 1080p at 120fps for amazing clarity when you play it back for family, friends and on social media. 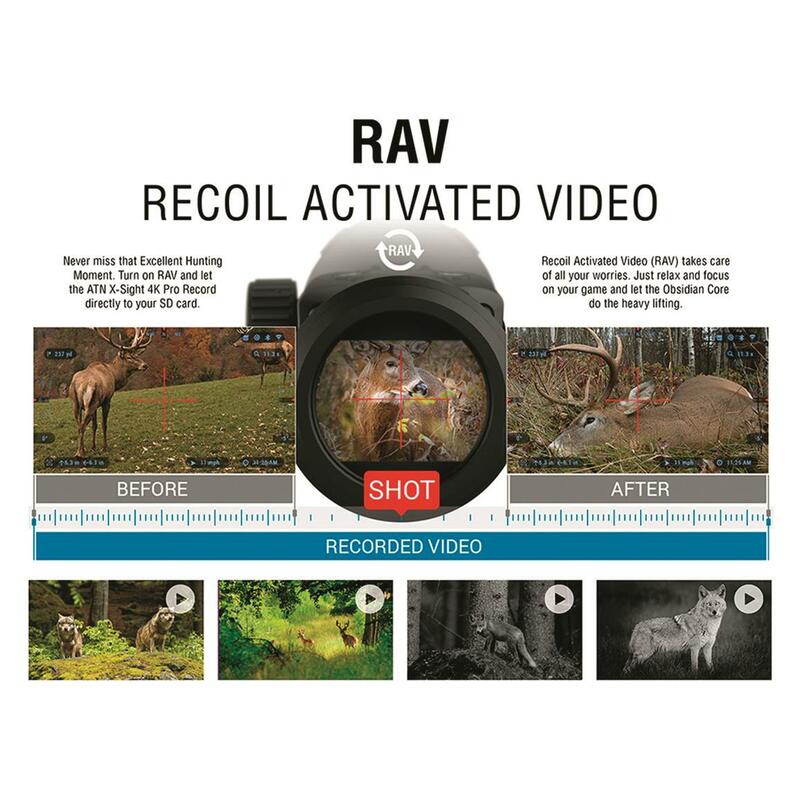 Recoil Activated Video makes sure the moment is recorded before, during and after. Dual Stream Video lets you save and share your hunt as it happens. 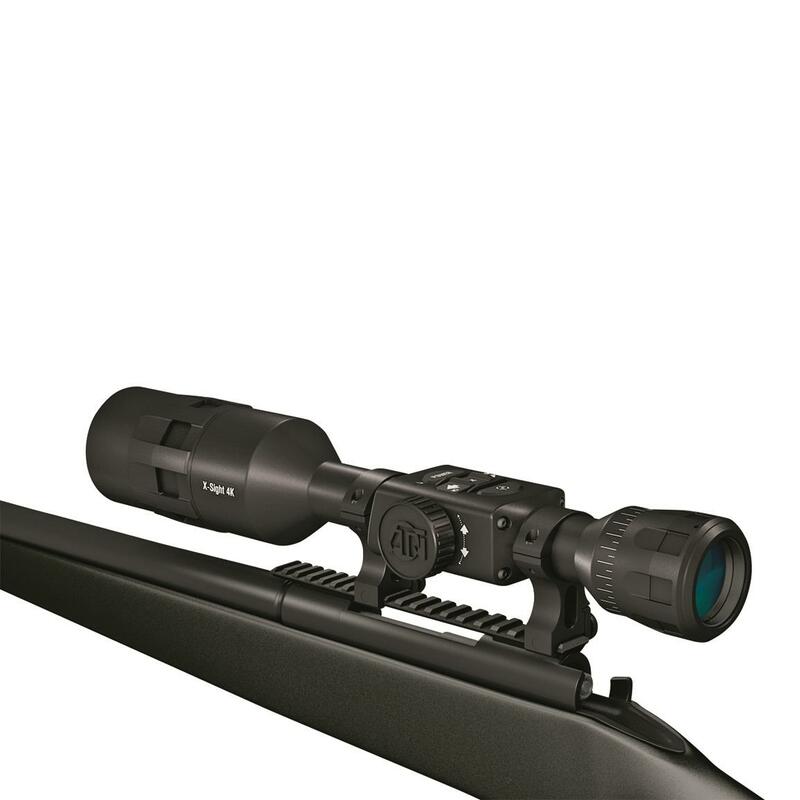 How do you make a state-of-the-art Scope even better? By listening to feedback from your customers and adding to an already stellar design. ATN did just that with the Dual Stream Video feature on the new X-Sight 4K Series. 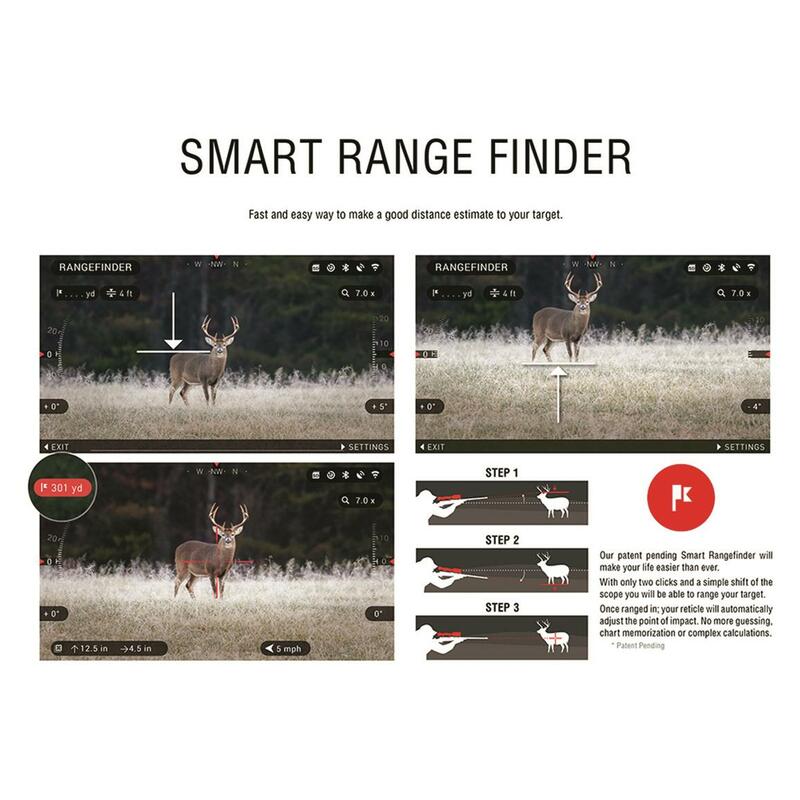 Dual Stream Video makes it possible for you to record and share your hunt simultaneously. The Obsidian 4 Dual Core processor streams video at 720p quality via Wifi while also recording it onto an SD card in 1080p. Without lag or loss of performance, the shot of a lifetime is easily shared and saved. 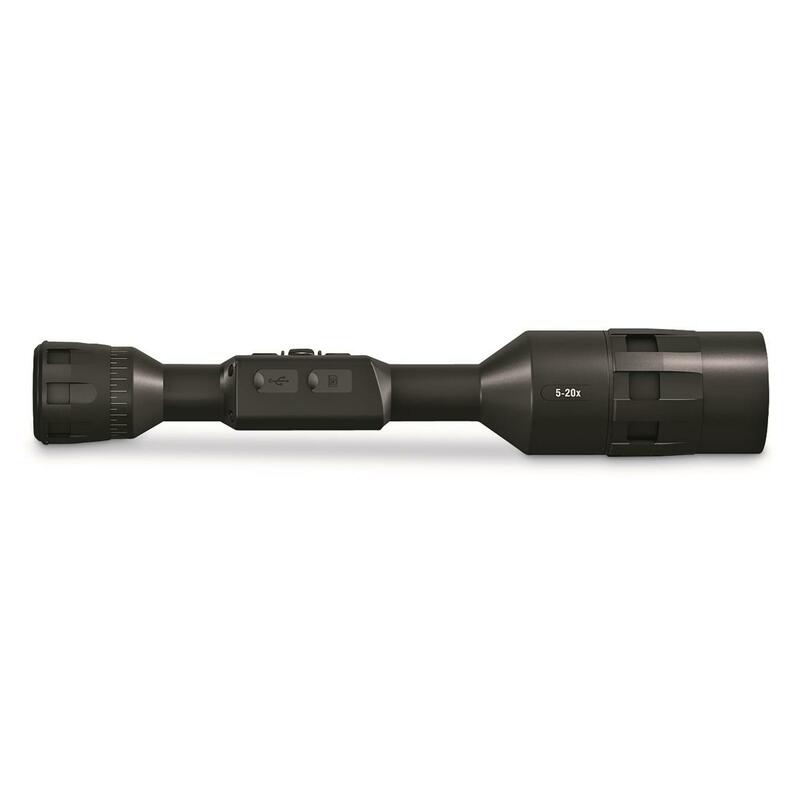 One Shot Zero for greater results in less time and shots. 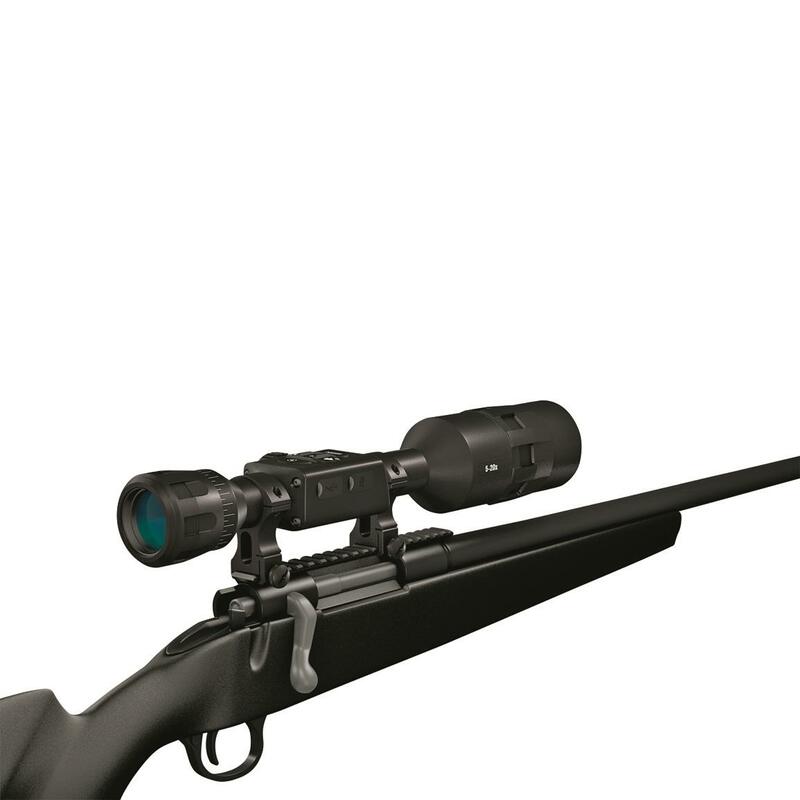 Get on target faster at and take fewer shots getting there with One Shot Zero. 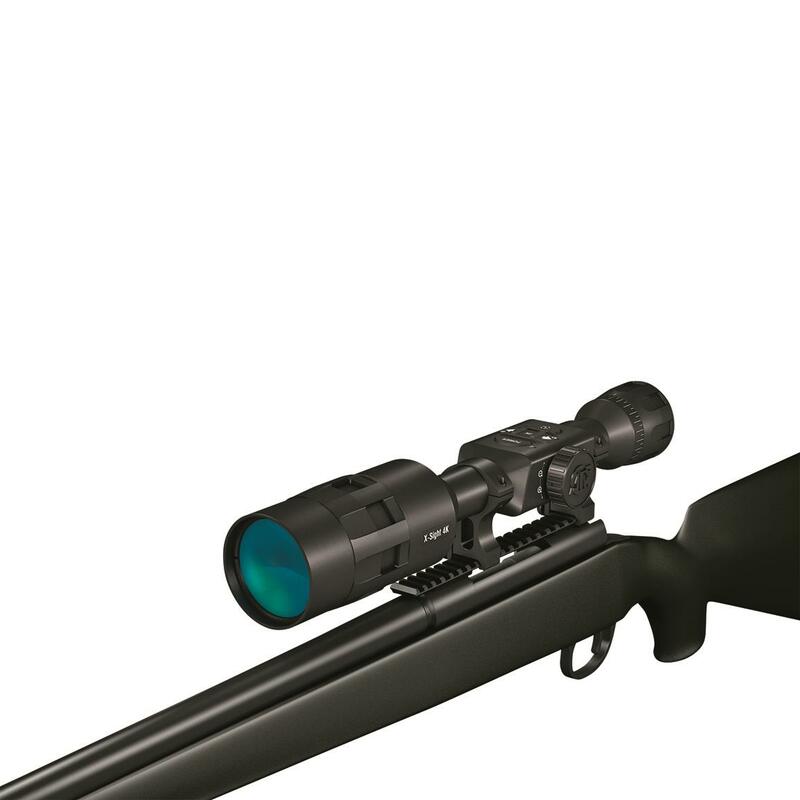 Instead of dialing around to fine tune your scope, take your first shot, adjust your reticle and let the Buckhunter do the rest. 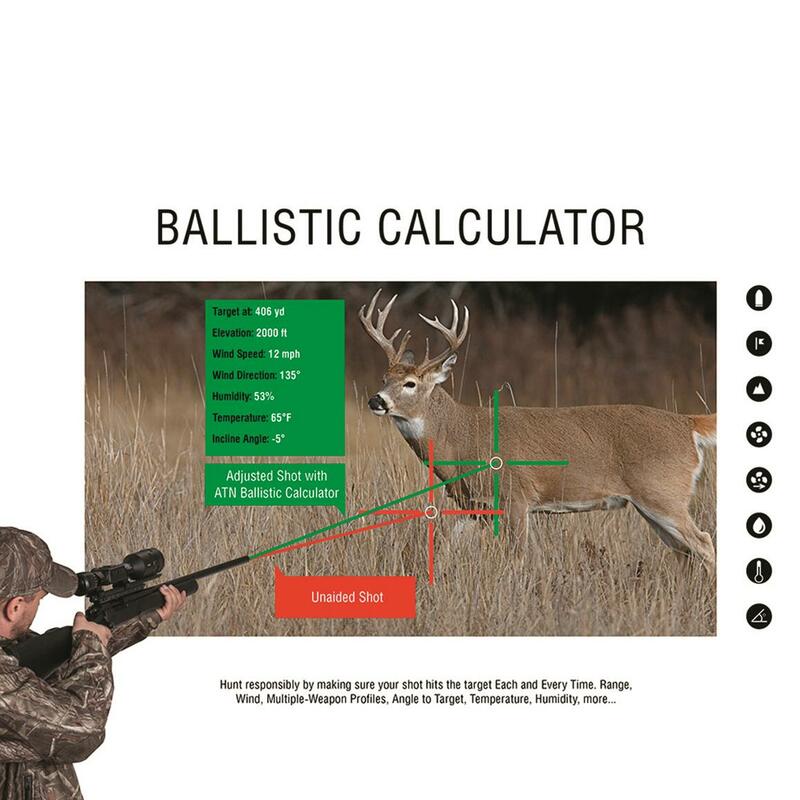 The ammo profiles and environmental readings in the Ballistic Calculator will also arm you with the distance, wind, temperature and rifle profile information you need to take more accurate and responsible shots. Built-in Wi-Fi and Bluetooth® for iOS and Android allow you to control your device and view live streaming. Connect a phone or tablet and view everything simultaneously. 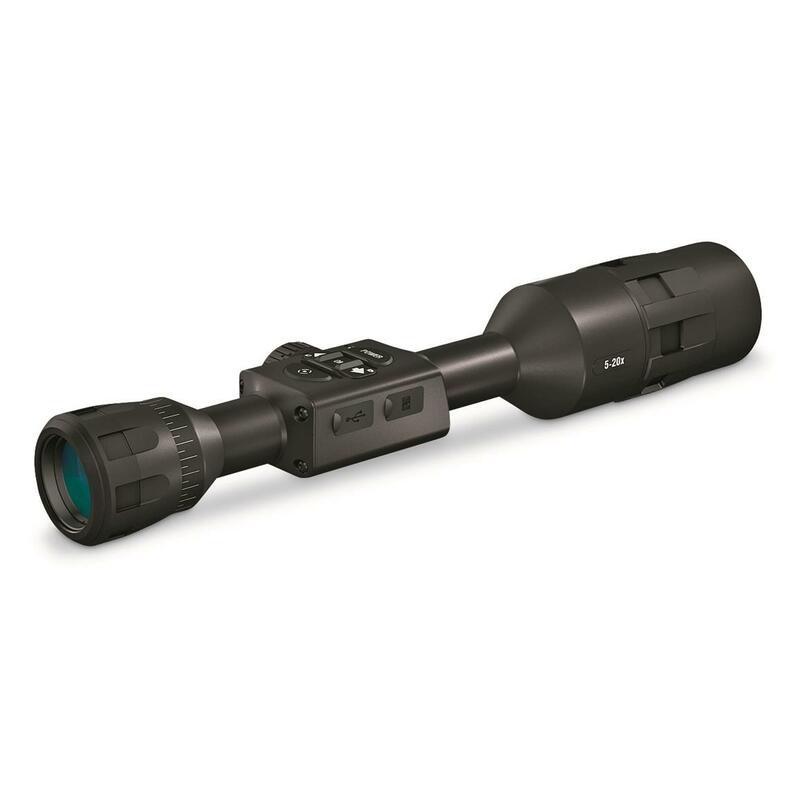 ATN X-Sight 4K Buckhunter Daytime Rifle Scope is rated 3.0 out of 5 by 1. Rated 3 out of 5 by frosty from Somewhat lacking I was unable to plug the charger iinto the scope because the plug insulation was too large or the inlet in the scope is too small. I filed off some material on the plug and then it was ok. The user manuals leave much to be desired. For example, there are many new to me terms that are not explaned. A list of definitions is badly needed. Neither is one told what to expect as normal when a function is initiated for several functions. The videos on their web-site help some, but they don't answer all of the questions. 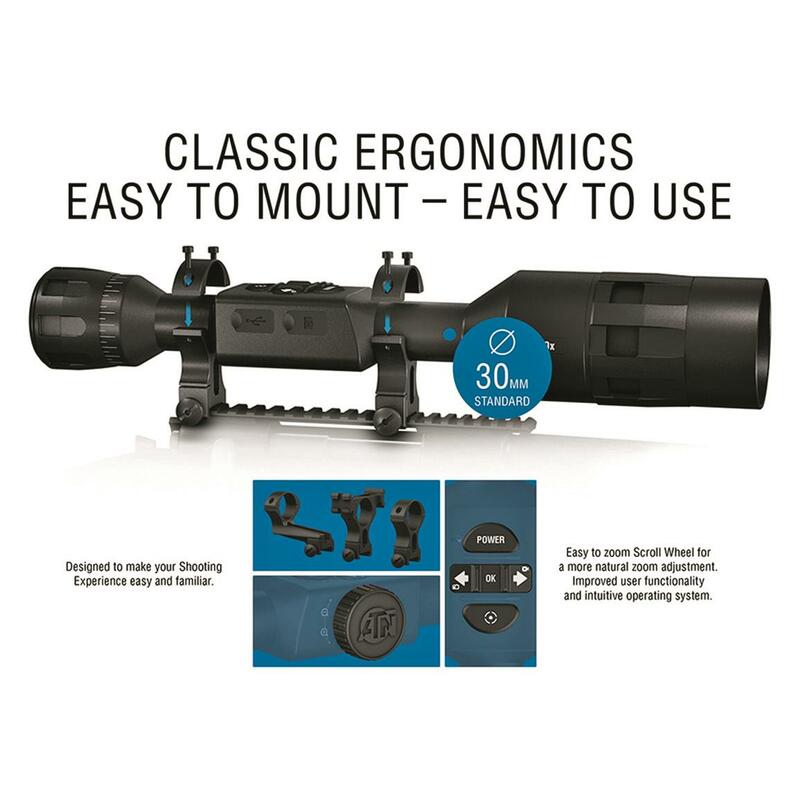 I think the scope itself is fine; although, I have not been able to sight it in yet because a longer base mount than a standard rifle scope uses is needed and one is not available for my rifle, on back-order at two different suppliers. 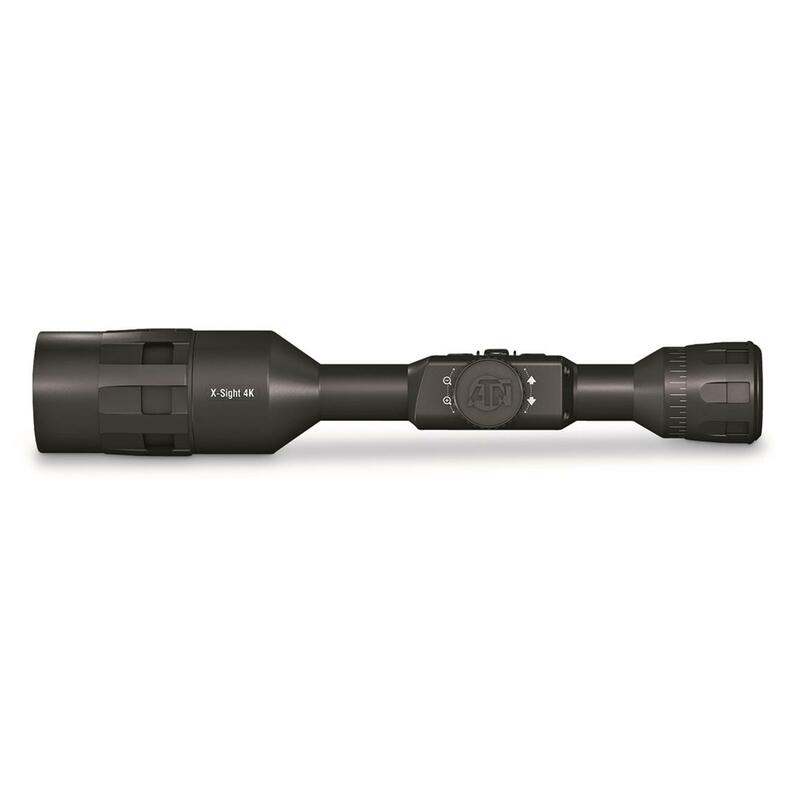 One needs at least a 6 inch Picatinni rail or an offset set of rings to mount it. That is not mentioned in either the sales literature from SG or in the manuals. The hassle is not appreciated, but I believe I will like the scope when all the aggravating details are cleared up. That said, the price is decent given all of the features.